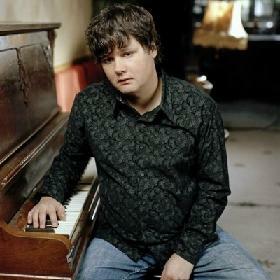 Here it is, the day you’ve all been waiting for… the final post in my series of Ron Sexsmith Weekends. I know these entries weren’t received with the enthusiasm that I hoped (and even expected, to be honest) but I’m still glad I stuck with them. If I’m going to keep the blog going, I figure I’ll wind up giving the weekend treatment to many of my favorite artists, and Sexsmith sits atop that list alongside many other greats. Today’s song is another from his latest album, Long Player Late Bloomer. It has a gentle melody that reminds me of early Simon & Garfunkel, a style I’ve always adored. It’s a nice note to go out on. 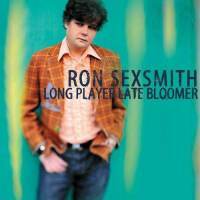 Ron Sexsmith’s most recent album, Long Player Late Bloomer, was released just this year and, while I hate to sound like a broken record here, it is perhaps his best yet. Ironically, the biggest knock on Sexsmith is that he’s so consistently good at doing what he does that his work tends to run together. With most artists, I can point to an album (or two or three) that epitomize their greatness. I have an Elvis Costello holy trinity, six Dylan albums I consider his masterpieces, clear favorites by the likes of Lyle Lovett, Ben Folds, Aimee Mann and Lucinda Williams. One of the nice touches on Ron Sexsmith’s Exit Strategy of the Soul was the addition of a Cuban jazz horn ensemble. This might seem incongruous with Sexsmith’s usual style — he’s not exactly Buena Vista Social Club material — but it works surprisingly well. These horn parts didn’t inform the writing of the album but were added to the recorded tracks later to flesh out the sound. Sometimes, when you have a classic three-minute pop singer-songwriter like Sexsmith, it takes just a dash of flavor to really elevate the material. 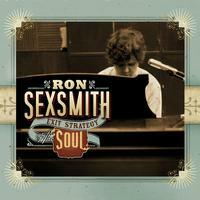 In 2008, Ron Sexsmith released Exit Strategy of the Soul, probably his most lovely album to date, sonically. The record opens with an instrumental track called ‘Spiritude,’ a beautiful piece on piano and strings that really sets the mood for the sublime set to come. The similar closing track, ‘Dawn Anna,’ is even prettier. In between is Sexsmith’s most spiritual group of songs. 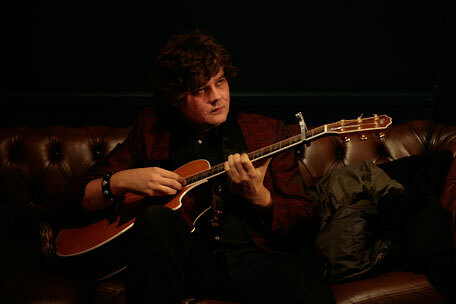 Tracks such as ‘This Is How I Know,’ in which Sexsmith sings “out of nothing came the miracle that loved us into being” sent me searching to see if this guy is a Christian rocker in disguise. But I found an interview in which he says he’s spiritual but not religious, and feels that organized religion often does more harm than good. I can live with that. 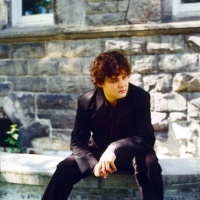 Ron Sexsmith often writes about music. Not about the industry, but about the songwriting process, the power of songs to move people, music as a metaphor for life. One of my favorite of his songs about music is the Time Being track ‘Jazz at the Bookstore,’ in which he bemoans the Starbucks culture that turns the work of classic jazz and blues musicians into a shrink-wrapped commodity. 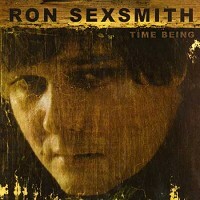 Ron Sexsmith’s 2006 album Time Being seems to get lost in the shuffle. It’s the one album of his nine studio releases that, for me, doesn’t have a distinct identity. But Time Being is generic in all of the ways the rest are distinct. The nice thing about theme weekends is that it gives me a chance to revisit the albums of a favorite artist in chronological order, enjoying the evolution. Often an album I’d kind of lost track of over time will reemerge as a favorite. That has been the case with Retriever, an understated Ron Sexsmith album that followed the more showy Blue Boy and Cobblestone Runway. I lose this album in a blur of the other material Sexsmith released in later years because it doesn’t have as overt an identity as its predecessors.